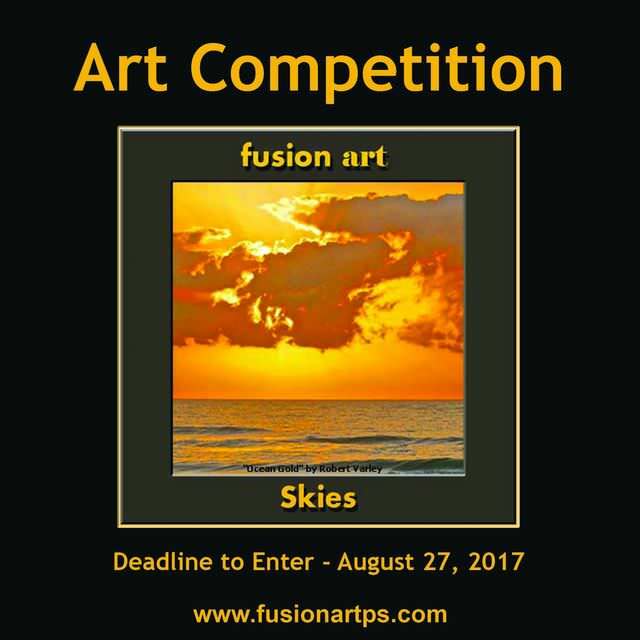 For this competition, artists are encouraged to submit their best art and photography depicting the sky. The sky is everything that lies above the surface of the Earth, including the atmosphere and outer space. The theme includes any depiction of the skies, including clouds, rainbows, aurorae, lightning, precipitation and storms, stars, planets, moon, celestial events, the night sky, the day sky, dusk and dawn – just as long as the sky is the main focus. The artwork can range from realism to surrealism to abstraction and all artists and photographers over the age of 18, regardless of location or experience, are encouraged to submit their best representational and nonrepresentational work.